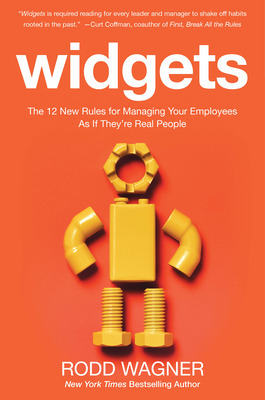 Excerpt from Widgets: The 12 New Rules for Managing Your Employees as if They’re Real People by Rodd Wagner. So-called employee engagement initiatives abound. Yet, despite those effortsand in many cases because of themhigh percentages of employees remain frustrated or demoralized. The reason, according to New York Times bestselling author and workplace expert Rodd Wagner, is that organizations have lost touch with human nature, treating employees like widgets. 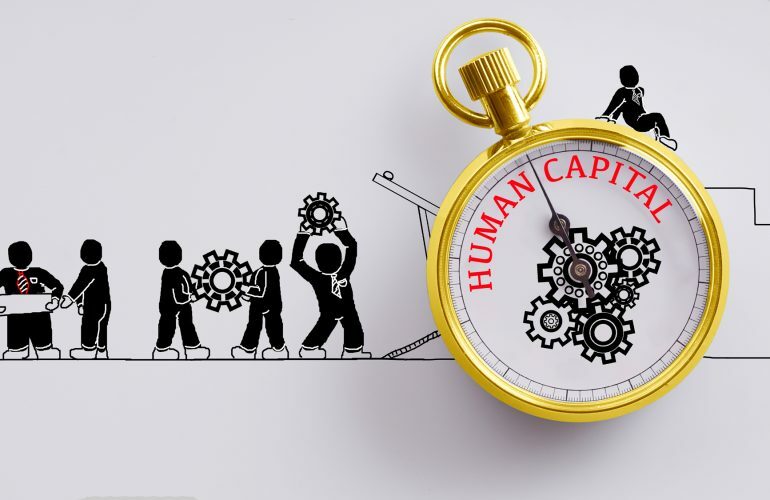 In his book, WIDGETS: The 12 New Rules for Managing Your Employees As If They’re Real People, Wagner makes a compelling case that until organizations regain their sense of humanity toward those they call human resources, engagement efforts will continue to fall flat. Your people are not your greatest asset. They’re not yours, and they’re not assets. Assets are property. You don’t own your people. Many of them don’t trust you. Some don’t like you. Too many won’t stick it out with you. And the ones you need most have the credentials to walk out fastest if you treat them poorly. Money is a resource. Land is a resource. So are water, oil, trees, buildings, computers, gold, coal, cattle, and coffee beans. Resources are rarely unique. One load of two-by-fours is much like another. Resources are the raw materials from which a business creates a product. Humans are not resources. No manager talks about having coffee with one of her humans. No father holds his young son and hopes he will one day grow up to be a great resource. It is difficult to have the right relationship between a company and its people when the corporate function responsible for doing so goes by a euphemism. You might as well call them widgets, flesh-and-blood widgets. Thats what the term human resources means. Thats how they are too often treated. In trying to get a better seat at the executive table with number-crunching departments like Accounting and Operations and Marketing, the executives in charge of the hiring, culture, payroll, insurance, and training were seduced into using impersonal metrics for persons. Business lost its bearings in how to deal with people. Once people are seen as widgetsas human resources its much easier to apply to them the kinds of Operation speak that should be reserved for raw materials. They are downsized, attritted, onboarded, blended, change-managed, diversity-trained, e-taught, force-ranked, matrixed, requisitioned, or made redundant. In the human resources machinery, peoples entire working lives too often are reduced to a series of clicks on an automated selection system and sorted by computer into As, Bs, and Cs for the hiring manager. They are stereotyped by their generation, rated on their competencies and their computer-calculated strengths, combined for a group dynamic designed by an industrial psychologist, tracked by a human resources information system, and tagged with a Myers-Briggs Type Indicator. They are analyzed for target behaviors. They are ordered to pee in a cup and hand it over. The temptation to treat people like widgets is not new. Charlie Chaplin made a movie about it in 1936. Henry Ford is reputed to have complained, Why is it that I always get the whole person when what I really want is a pair of hands? More than a century ago, Frederick Winslow Taylor, the pioneer of time-and-motion studies, tried to engineer an optimal system where the employees best served the machinery around them. It is only through enforced standardization of methods, enforced adoption of the best implements and working conditions, and enforced cooperation that this faster work can be assured. And the duty of enforcing the adoption of standards and enforcing this cooperation rests with management alone, he wrote in his book, The Principles of Scientific Management. 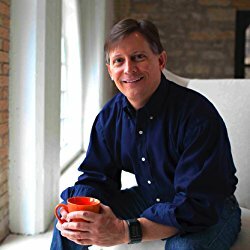 Rodd Wagner is a New York Times bestselling author and a leading authority on employee engagement. He serves as Vice President of Employee Engagement Strategy for BI Worldwide.